A person who may be interested in investing or buying a real estate property uses a real estate offer form to place a bid with the property owner. The Real Estate Forms contains important subheads which allow the person to share his personal details as well as the details of the bid with the owner. He can also include important terms and regulations which he wishes that both the parties adhere to during the transaction. 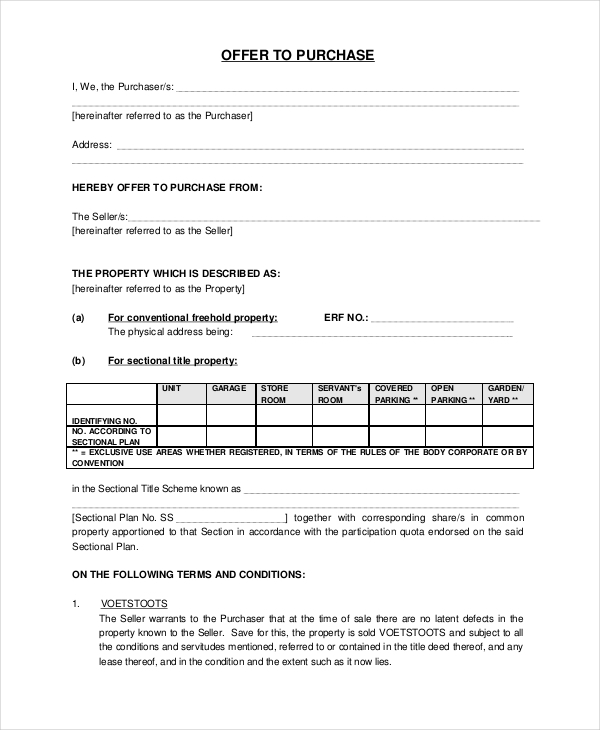 This form is used by the seller to make a counter offer on the bid that a buyer might have offered to buy the property. In this form, the seller can elaborate the terms as well as his expectations. 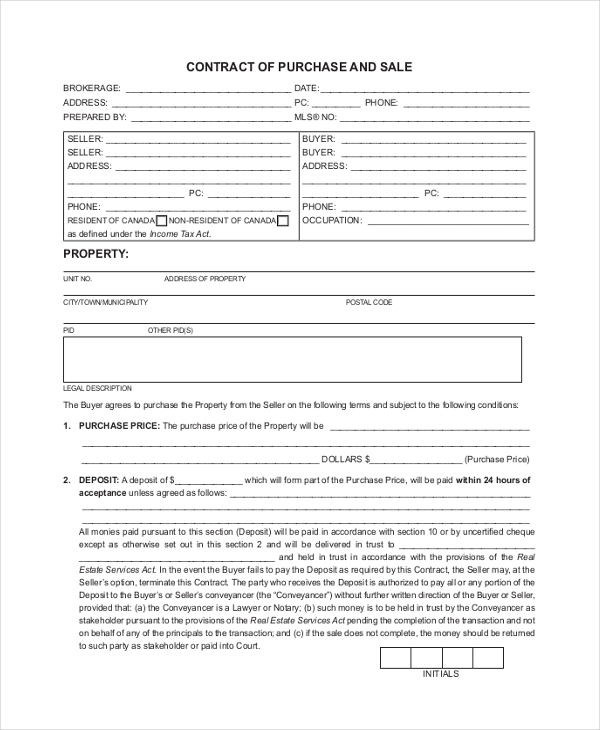 This form is used by a real estate agent to help a buyer to bid for a property on sale. The form should be filled in with the details of the buyer as well as the amount he is ready to pay. A property buyer who intends to give a written offer to the seller uses this form for the purpose. In this form, he can enter his personal details, his offer and the terms of the transaction. 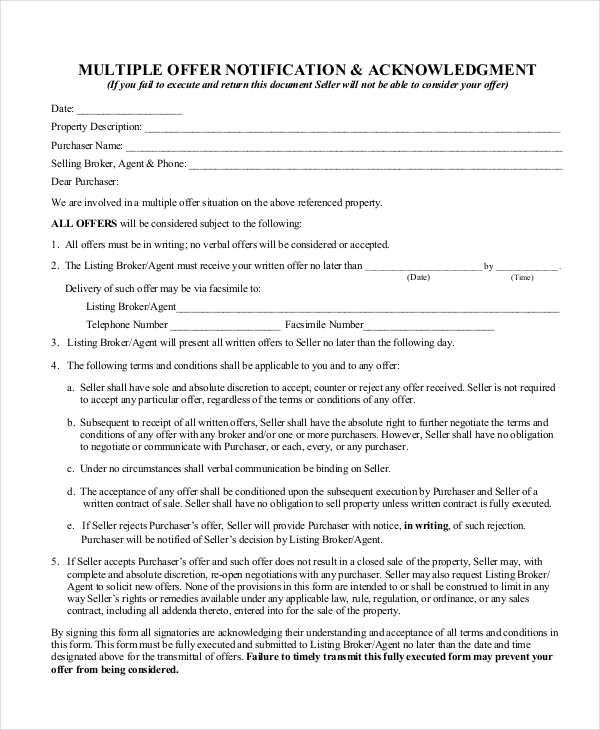 When a real estate agent has lined up a number of buyers for a property with varying offers, he uses this form to inform the seller about the buyers and what they have to offer. 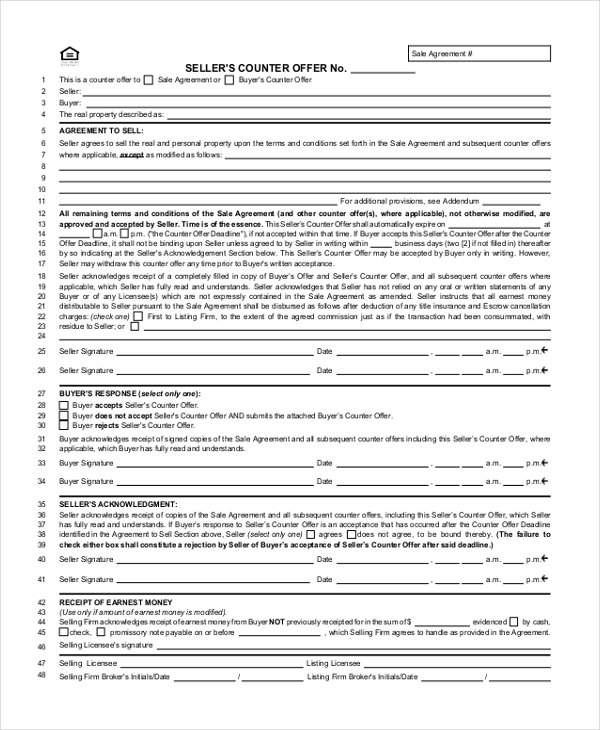 This form is used by a real estate agent to design a contract to help the buyer and seller of a property to get into a legal agreement. The form contains all the terms of the transaction which both parties should adhere to. 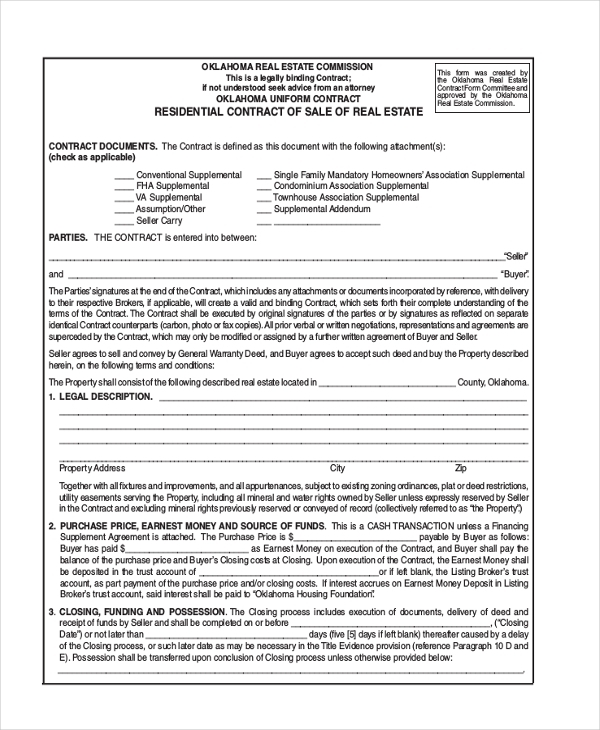 A real estate agent uses this form to design a sales contract that allows the seller to transfer the ownership of the property to the buyer. The form contains the terms of sale and other details. 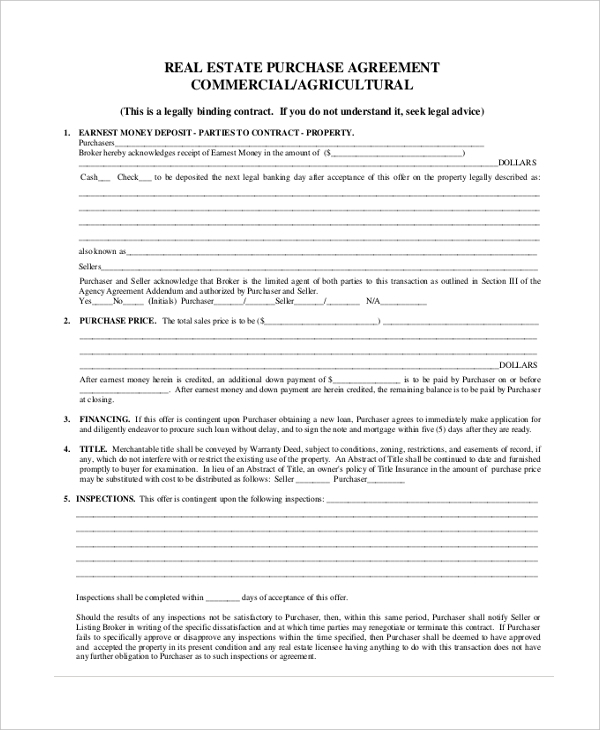 A buyer who intends to make an offer on a commercial real estate property can use this form to place a bid with the seller. In this form, he can elaborate the amount he is ready to pay for the property and the terms he is willing to follow. As the name indicates, this is a standard design of a real estate offer form. It comprises of all the important subheads that should be part of such a form. The user can, however, make changes to this as per his need. What are the Benefits of Using Real Estate Offer Forms? 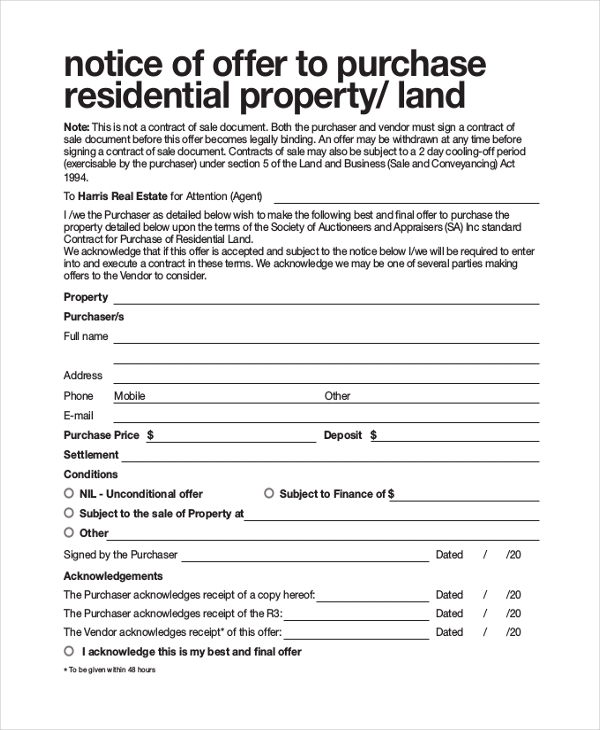 What should be included in the Real Estate Offer Forms?